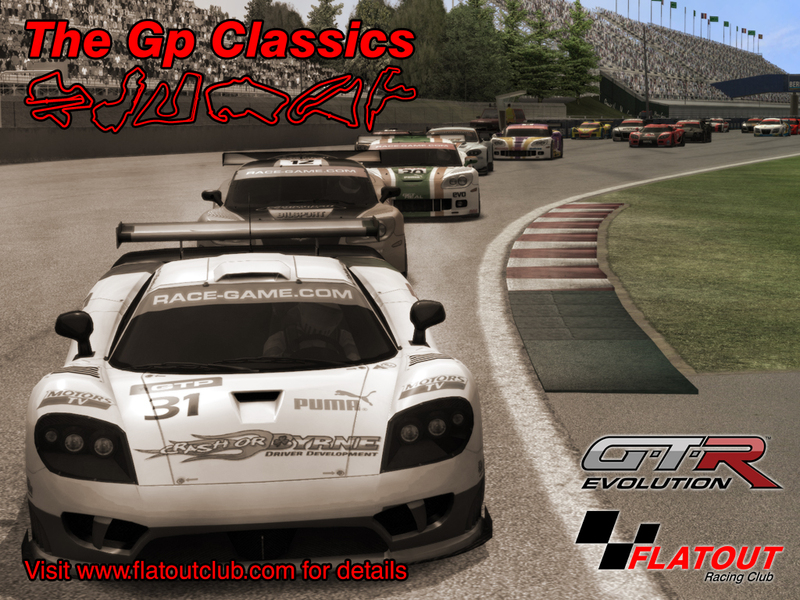 The Flatoutclub is proud to present The GP Classics. . In this six round racing season we shall be racing the "GT PRO" class. Each Round will consist of two races, One sprint race and one feature race "The GP Classics". The Flatoutclub is proud to present double trouble. . In this six round racing season we shall be racing the "GT Club" class. Each Round will consist of two races, One sprint race and one feature race "Double Trouble".